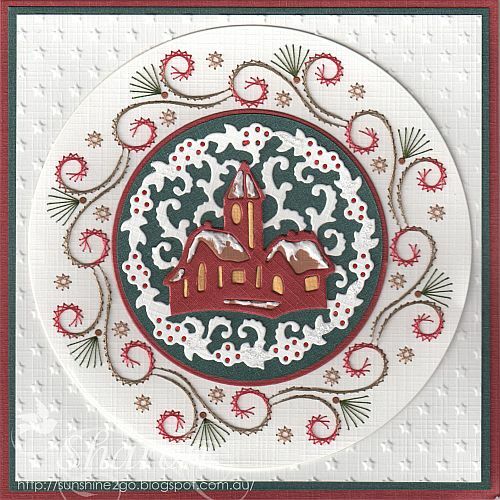 During November Ann's Paper Art released this beautiful new Christmas pattern a696. Christmas in Australia is usually very hot, especially where I live in Queensland. I would love to have a white Christmas and you never know maybe one day we might. Threads are Mettler Polysheen 0853, 1913, 5934. 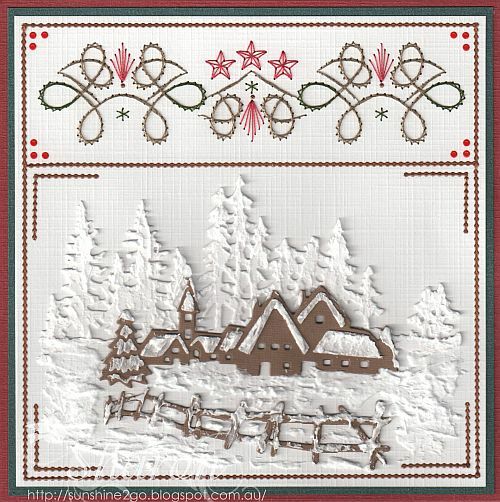 The dies are by Marianne Design CR1288 & CR1287. I added Aleene's snow to the dies and around the card. Starform peel off stickers and hobbydots have also been added. Last month Ann's Paper Art released a new pattern a697. You can also buy the pattern as a set with decoupage and pattern. Threads are Mettler Polysheen 0622, 1913, 5833. I was given a beautiful die by a friend and it fits perfectly in this card. 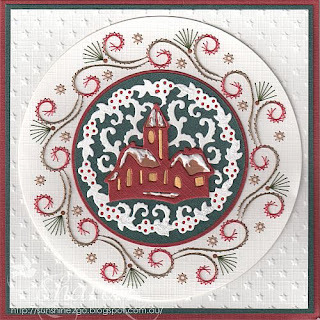 The die is Precious Marieke "Charming XMAS" PM10037. I added Alenne's snow and hobbydots. 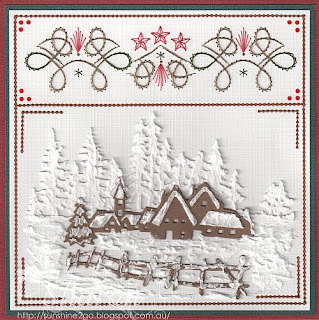 Little Snowflakes embossing folder by Nellie Snellen EEB014. this year has flown by so very quickly.